3. Again because of the trip pressure keeping the leg where it should be, this means you are not towing the spring pressure that builds up in conventional flexi type tines. 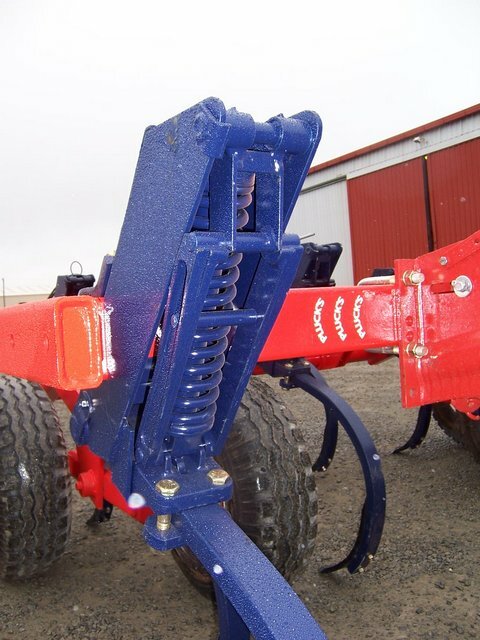 You are only towing the ground/earth resistance on the point, without the flexi tine trying to pull itself straight again. This creates huge savings in tractor engine, transmission and tyre wear, also savings on your diesel. More importantly you could tow a wider cultivator with the same horse power tractor. 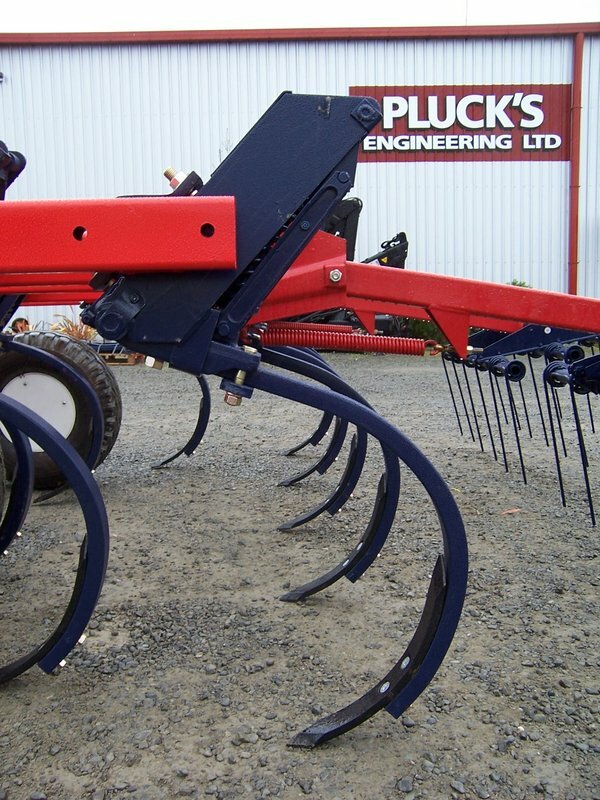 Because the legs stay put whilst carrying a point of any width (2 to 12 inch) you will have all the ground moved, cultivated and mixed right across the width of the machine. What this does for you is the equivalent of a number of passes in Just one pass. Because the narrow points on the front open up the ground by ripping about 2 to 4 inch slots through the paddock, then the middle row sweeps start to cut off and mix, then the back row because they are very wide points (but with most of the ground already moved) cut off, mix and turn what is left. Finally and easily the harrows mix in what is left on the surface and leave the paddock flat and ready to drill. Please contact us for a price, also to ensure we recommend the correct size cultivator for your farm and tractor and conditions and a lot more info about this model cultivator.